In September 2016, the BBC announced that it had commissioned three event dramas based on JK Rowling’s crime novels, which she publishes under the pseudonym Robert Galbraith. This week, HBO announced it had also come on board for the US and Canada. 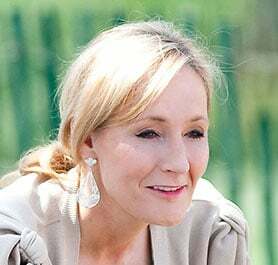 The three dramas are being produced by Rowling’s UK-based company Brontë Film & TV, which previously adapted her novel The Casual Vacancy for the BBC and HBO. They will star Tom Burke as Cormoran Strike, a battle-scarred war veteran who is now a private detective. All told, nine hours of television will be extracted from the three books: The Cuckoo’s Calling (3×60’), The Silkworm (2×60’) and Career of Evil (2×60’). Also this week, US cable channel Spike TV acquired a six-part drama about the Waco siege that left 76 people dead in 1993. 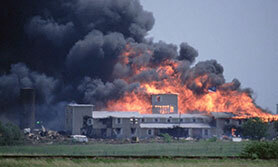 Waco is a Weinstein television production and is based on the events surrounding the two-month siege of a cult headquarters in Texas, which ended in tragedy when the FBI stormed the complex. 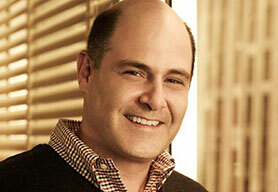 The show will start production early next year and is being written by brothers John Erick Dowdle and Drew Dowdle. This is not the only project Spike and The Weinstein Company are working on. Also coming up are Time: The Kalief Bowder Story and The Mist, slated for 2017. The latter is based on a Stephen King story. Cults are becoming something of a theme in the US scripted business. Recently, we reported that Vince Gilligan and HBO had joined forces on a scripted series about the Jonestown massacre, while Aaron Paul (Breaking Bad) has been attracting critical acclaim for his role in Hulu’s cult-based drama The Path. There are also reports this week that Amazon has handed a straight-to-series order to Mad Men creator Matthew Weiner and The Weinstein Company. The show will be Weiner’s first project since Mad Men finished its seven-season run on AMC last year, and is reported by Deadline to have a budget of around US$70m. Elsewhere, indie producer Eleventh Hour Films has signed a coproduction deal with Luti Media to develop a slate of distinctive, exciting and original television dramas. Jill Green, MD of EHF and producer of hit dramas including Safe House, Foyle’s War, New Blood and Vexed, has teamed up with Luti Fagbenle, the founder of Luti Media, an award-winning production company known for music videos for artists such as Zayn Malik, Rita Ora, One Direction and Kanye West. The intention is to pool their expertise to develop a slate of projects – both fiction and non-fiction – and work with some of the most exciting up-and-coming talent in the entertainment industry. 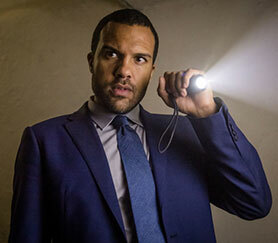 The partnership has already secured its first script commission with Channel 4, in the form of Laylah and the Universe, a comedy drama penned by actor/writer/director O-T Fagbenle (who recently played one of the leads in Sky1 drama The Five). They are also working with Director X on a music-driven project. While there haven’t been many new commissions this week, there have been a few interesting stories on the finance and development front. One doing the rounds is that BBC Worldwide (BBCWW) is close to doing a £50m (US$60.9m) deal with Danny Cohen’s Access Entertainment to create a portfolio of high-end dramas. If the deal comes off, it won’t be the first time BBCWW and Access have come together. In August, they backed the launch of Tessa Ross and Juliette Howell’s new production company House Productions, which plans to build a slate of television and feature films. BBCWW took a 25% stake in House and will act as the company’s global distributor. Should the Access deal go through, the plan would be for BBCWW to act as distributor for any shows Greenlit by Access. Also notable this week is the news that the Paris-based Series Mania Coproduction Forum has created a €50,000 prize for the best TV series project in development – available from 2017. The Coproduction Forum, which will take place from April 18 to 21 next year, chooses around 15 projects seeking additional financing, which are then presented to more than 400 decision-makers from some of the world’s leading production companies and broadcasters. “Since its beginnings, the Series Mania Coproduction Forum has set out to identify ambitious projects with international distribution potential. Through this prize, we want to make this aid more concrete by putting a spotlight on and giving a significant financial boost to the writing of the winning project,” said Laurence Herszberg, MD of Series Mania. On the acquisition front this week, Canadian broadcaster Quebecor has acquired the thriller series Shooter from Paramount Worldwide Television Licensing. 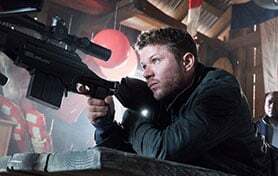 The show, which is based on a 2007 movie of the same name, stars Ryan Phillippe as a US Army-trained sniper who is coaxed back into action after learning of a plot to kill the president. “This gripping series has everything our audiences look for: great acting, superb production values and a compelling, binge-worthy story,” commented Yann Paquet, VP of acquisitions and partnerships at Quebecor Content. The show is due to launch on USA Network in the US on November 15.